There is something very special about writing or drawing on 'special' paper. Grab this set of four winged baby dragons for your child's next letter writing or drawing project. A perfect gift for Nan and Pop, or aunty and uncle. 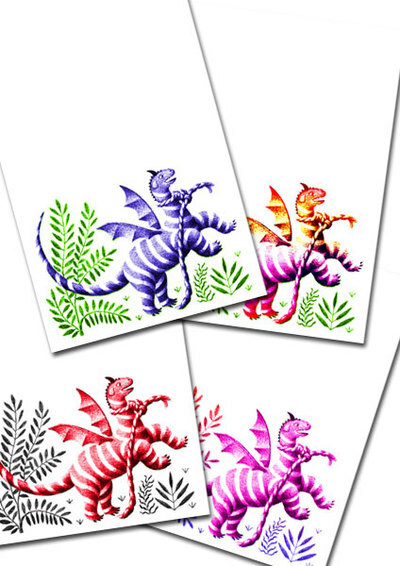 In four colourways of bright and funky hue, these baby dragons are not scary and will suit all kinds of papercraft themes.